No we are not saying that the 340 in.³ V8 isn’t magical, it has just seen better days. This customer liked taking this car to local car shows, but he and his wife (it’s actually her car) found themselves leaving the hood down out of embarrassment. It’s not a terrible looking engine bay, but many parts were rusty, the 340 had some leaks, and the surrounding sheet metal had some corrosion issues as well. 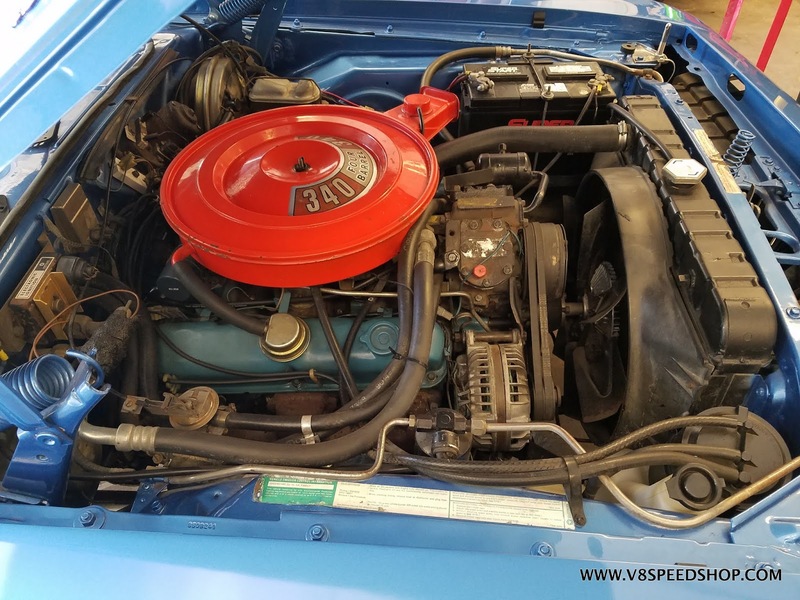 It was time for the V8 Speed and Resto Shop crew to get to work making the under hood compartment and engine look as nice as the outside of the car. 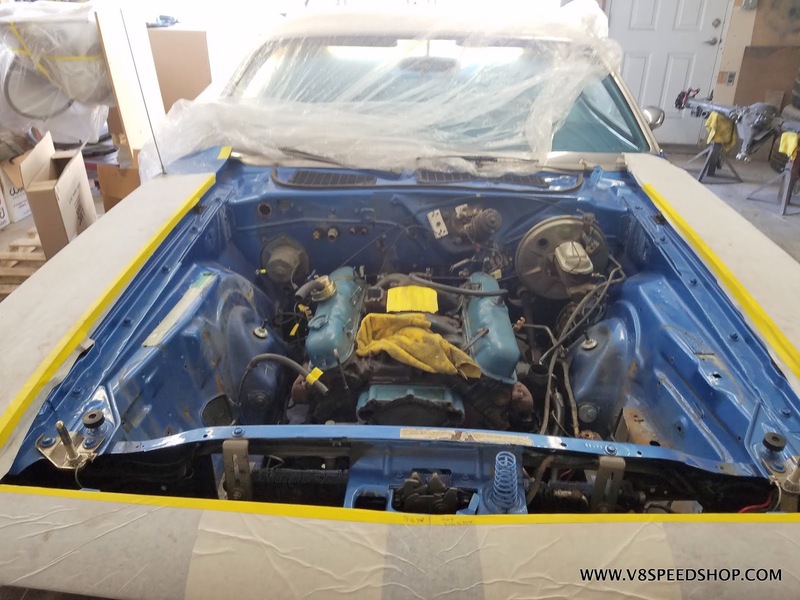 Follow along as the V8 crew breathes some new life into the nose of this ‘Cuda! The first step in a job like this is to photo document the car. 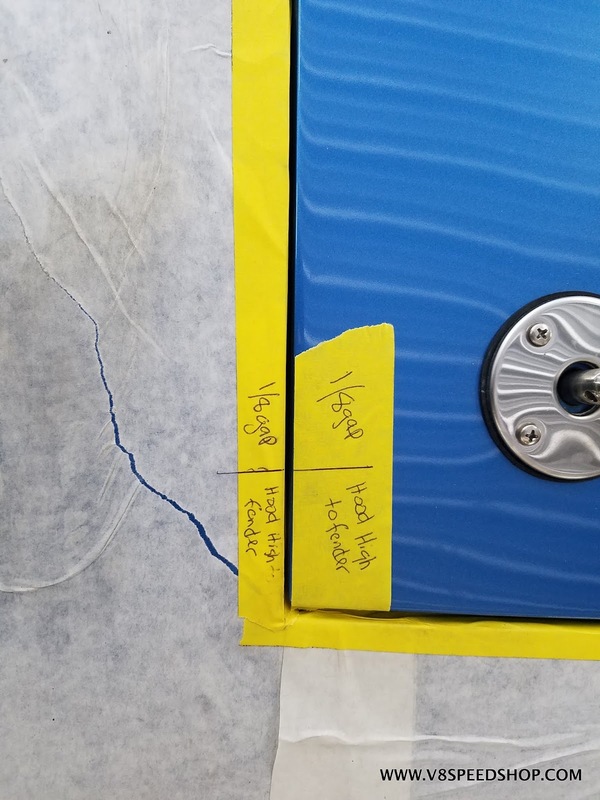 In this case, we are going for a 100 percent correct restoration, so we noted every night, old, faster, and existing color so that they could be restored properly. A few items were removed from the engine, with yellow tape tags used for notes. 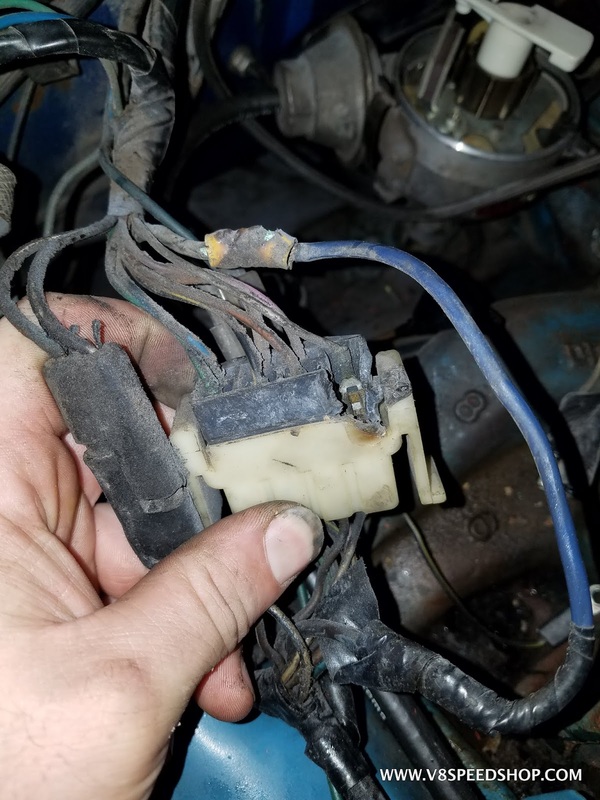 We found some burnt up wiring and connectors, and knew there would be some part replacement in addition to restoration. Once the engine bay had been thoroughly documented, we measured the fitment of the hood in relation to the fenders, because the hood would be removed. 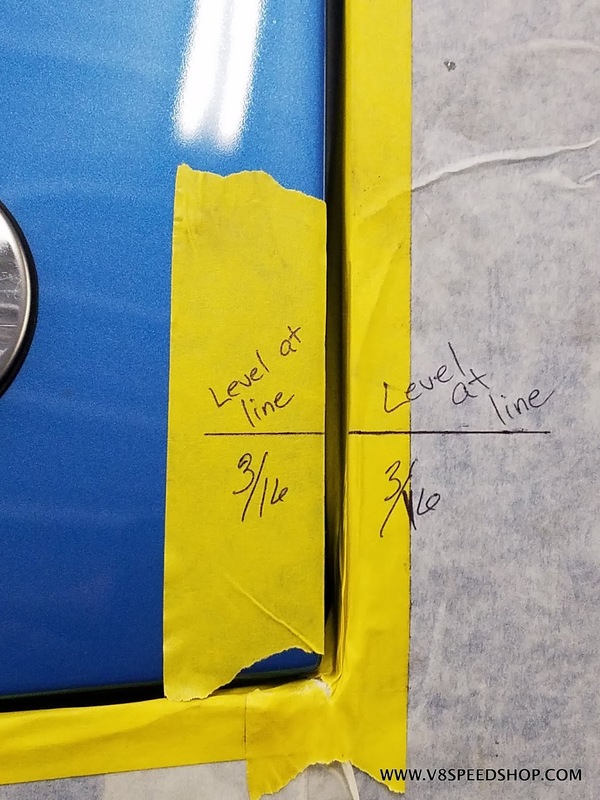 Too many times body panels are reinstalled differently than how they were when the car came into the shop, so we started a practice of measuring and documenting cars so that they would go back together the same way they were when they arrived in the shop. In some cases, we reassemble them nicer than they were, but in this case the customer was happy with the original hood fit. 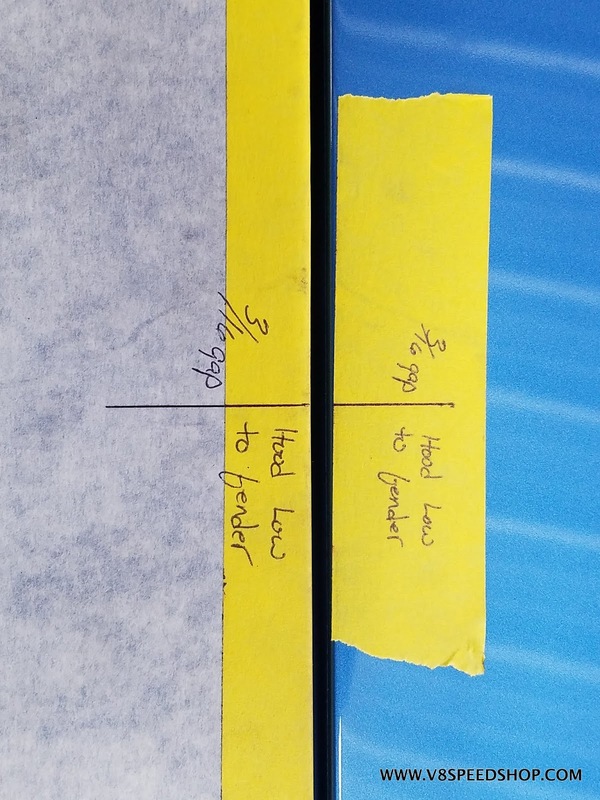 The white mask paper protects the finish, and the yellow tape provides areas for notes and additional protection. Once the hood was removed, the disassembly continued. 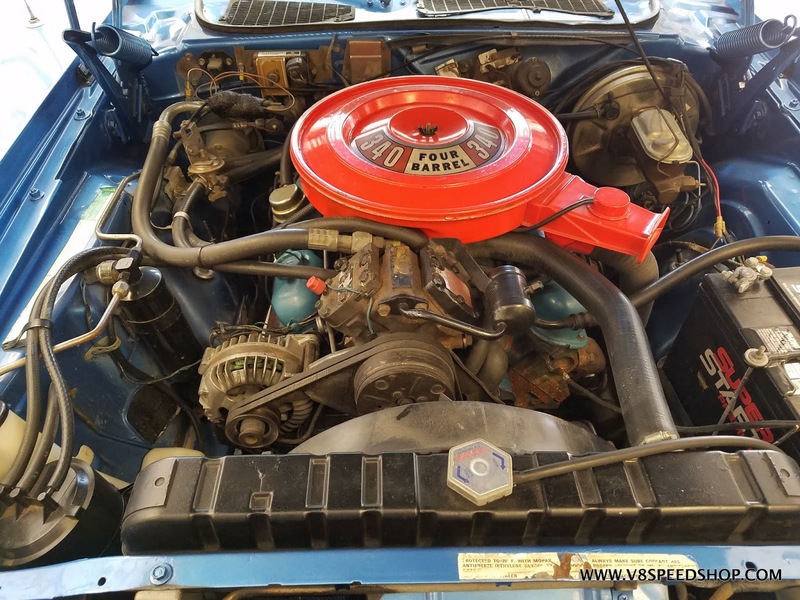 The main goal was to get the engine out so that it could be partially disassembled for cleaning in detail work, as well as repairing some leaks by regasketing the engine. The customer complained about the starting and running performance of this car so we knew we were going to rebuild the Thermoquad carburetor. 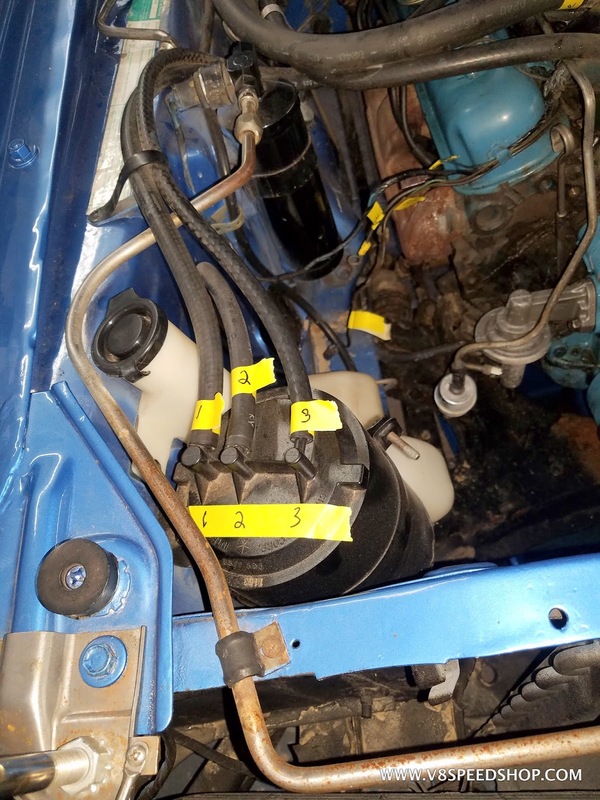 This car is equipped with air conditioning installed from the factory, and part of the task was to restore the componentry and make sure everything worked again when the car left. Here, the air conditioning compressor is removed and documented. Soon, the crew was ready to remove the 340 V8. A lift plate was installed, the motor mount bolts were removed, and the engine was carefully lifted out of the engine bay. The engine bay on Chrysler products of this era was painted the same color as the exterior of the car, and that is one of the unique features of these cars. 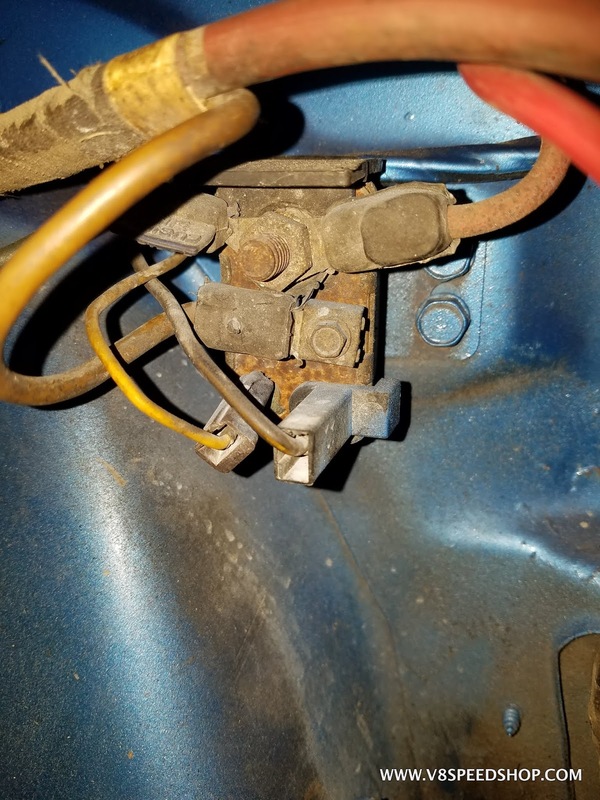 Unfortunately, rust can hide in several areas like behind hood hinges and under stamped panels between resistance spot welds. We will soon find out what secrets are hiding in this engine bay! The 340 was pulled from the ‘Cuda’s nose and put on a stand for evaluation. 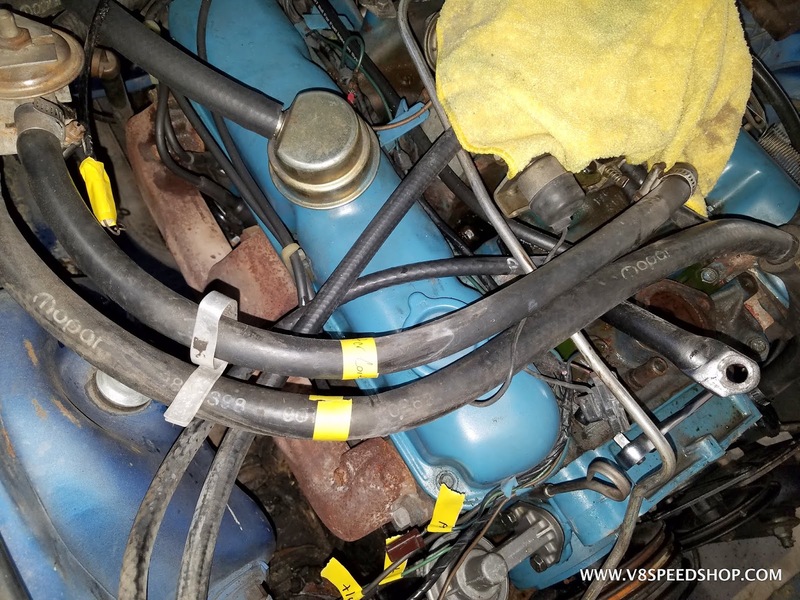 It looked OK on the top side, but years of leaks and heat cycling really took a toll on everything below the valve covers. 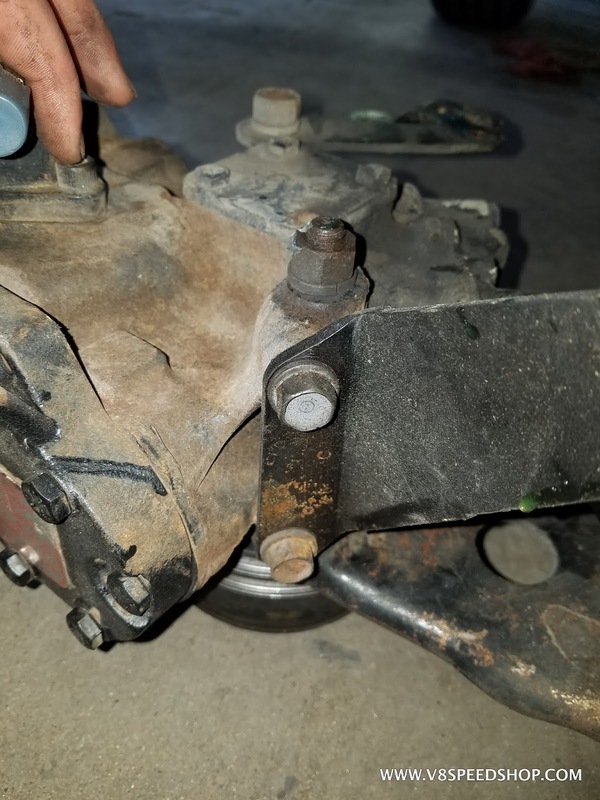 The rear plugs were seeping a bit. 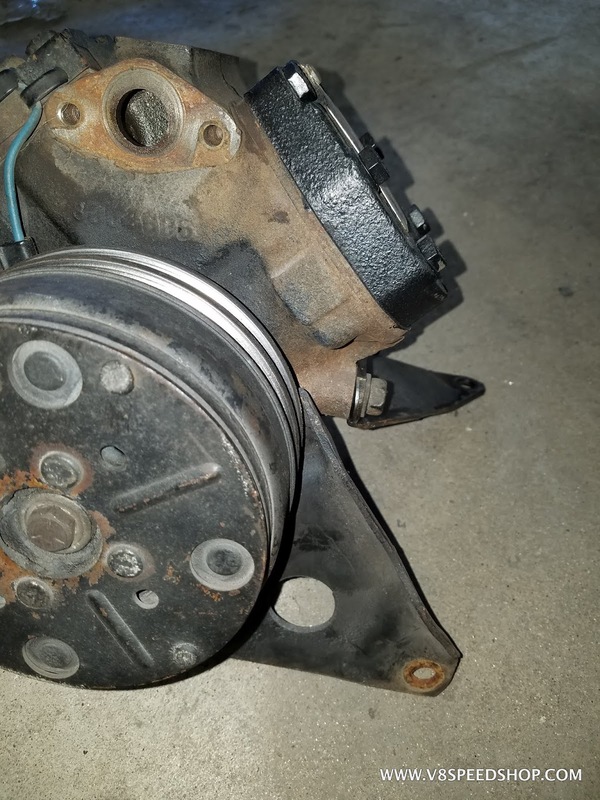 The distributor gasket was leaking as well. The exhaust manifolds were correct, but looked pretty rough. The heat shield was surprisingly complete, but also kind of crisp. 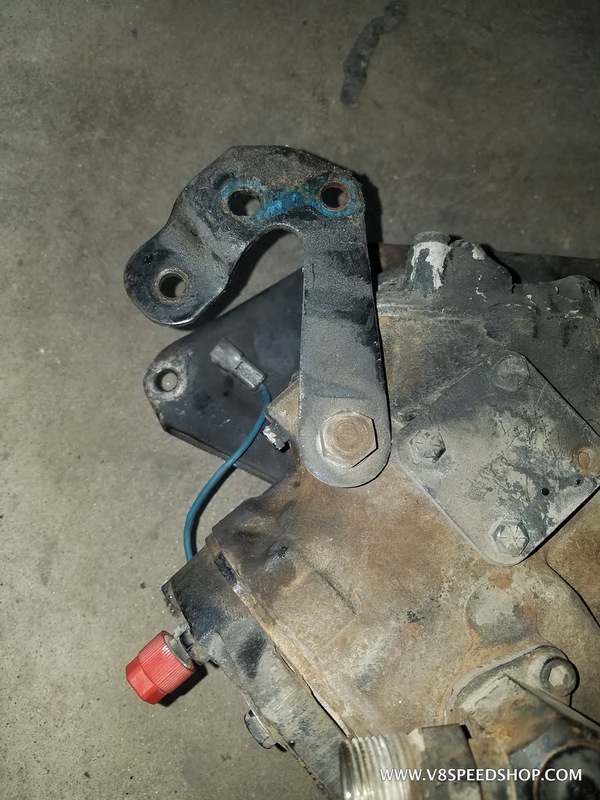 Motor mounts were a bit greasy. oestek wrote: The 340 was pulled from the ‘Cuda’s nose and put on a stand for evaluation. It looked OK on the top side, but years of leaks and heat cycling really took a toll on everything below the valve covers.